Anyone familiar with this series will be intrigued by the way this film version of the romantic comedy begins – with a wedding between the two leads. Yes, the opening of Rikka Version stars with the chunibyo Rikka Takanashi marrying her love, the formerly delusional Yuta Togashi. However, the wedding is interrupted by their fellow chunibyo friend Sanae Dekomori, who tries to split them up. 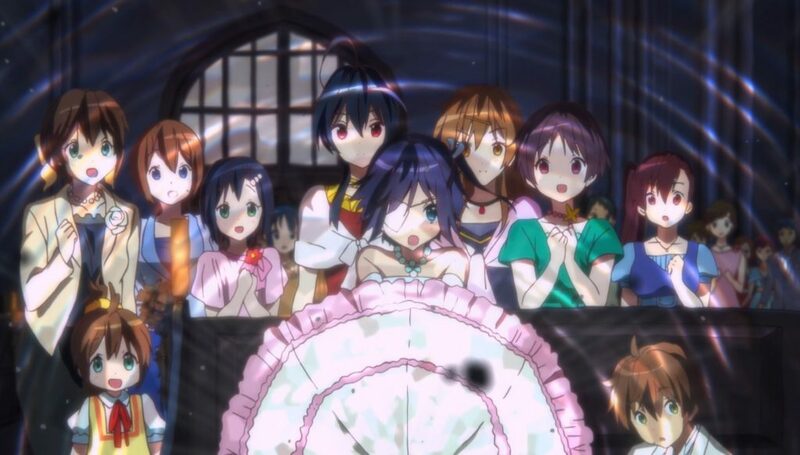 Failing to do so, there follows what is in Rikka’s imagination a spectacular battle involving all of the members of the Far-East Magical Napping Society – Summer Thereof. However, it turns out that it is not just the fight that is imaginary, but the wedding too, as the whole thing is a dream. The clue to the fact it is a dream is the date the film was released. 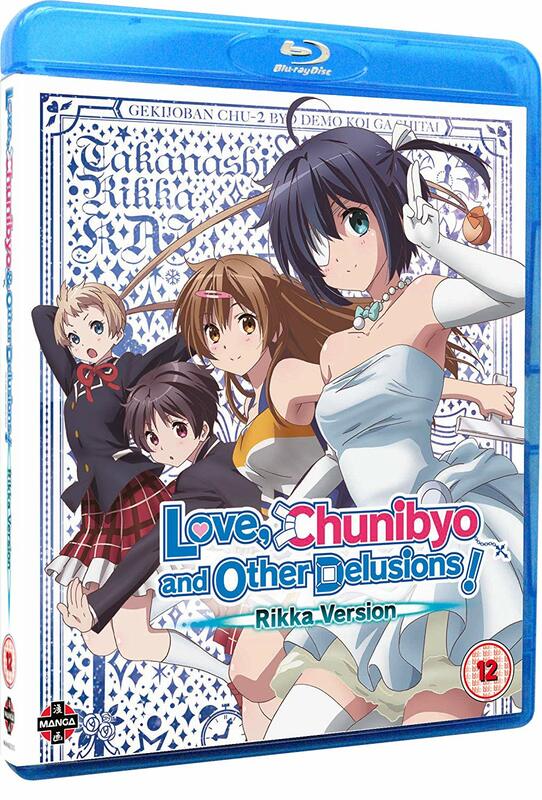 Brought out in 2014, Rikka Version comes in between the first and second TV series. After the dream, Rikka then goes on to explain to Sanae how she and Yuta first met, and the film proper begins. The film itself is a compilation movie retelling the plot of the first series, of Yuta and Rikka’s original meeting, the formation of the society, her problems with her family, and how the duo over the course of the series begin to fall in love. As it is a compilation film, most of what has been said about it has already been touched upon in the review of the first series. Like the TV version, it features the high standard of animation as expected from Kyoto Animation, and there is plenty of comedy to keep you entertained, especially the more slapstick stuff. 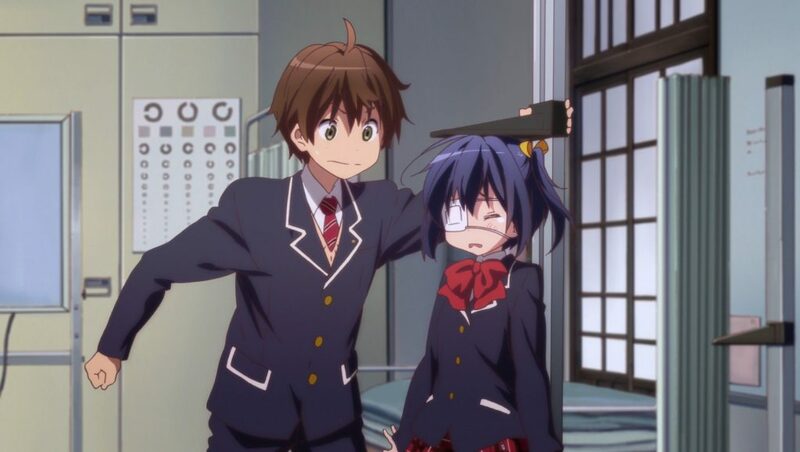 The more series elements concerning Rikka’s behavior come nearer the end of the movie and, while the drama doesn’t feel as strong as the comedy, it still has its appeal. Given that there are so many similarities, it makes more sense to look at the differences between the two works. One of these is the rating. The original TV series has a 15 BBFC rating, while Rikka Version is only a 12, so the film is more suitable for family viewing. The only scenes which are totally new are at the beginning and very end of the piece, and the wedding scene still has plenty of fun moments. Other than this, both works are pretty much the same, except that it is Rikka rather than Yuta who is narrating. There are some extras to go with the film as well. 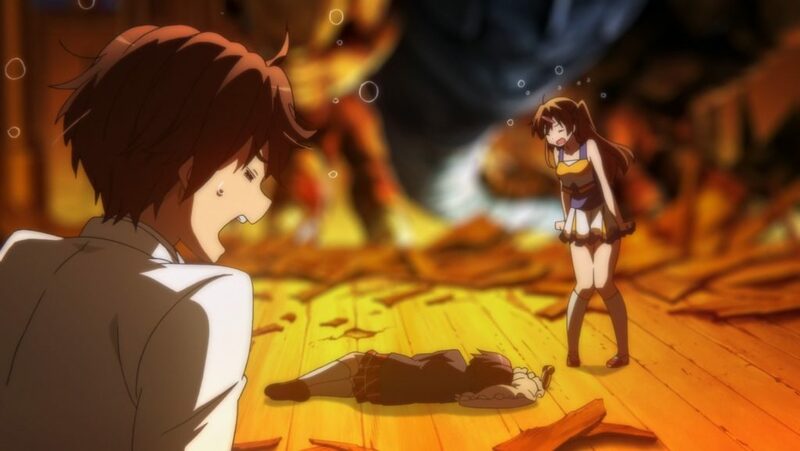 Aside from Japanese previews as well as textless opening and closing of the music – the best track being the opening, “Voice” by Zaq who also sang the opening track to the TV series – the other main extra include a 7 minute short, Lite 2, which follows Yuta’s sister Kuzuha in a prequel to the series, back when Yuta was still delusional. Though short, it still features some nice stuff and more comic slapstick. The last extra is a textless closing for this short. Like just about all compilation movies, Rikka Version is not an essential purchase and is mainly there for completists or those who want to sample the TV series if they have not seen it yet, but it is still entertaining in its own right. Delusional Rikka and her boyfriend Yuta go on the run in their latest outing.